Water damage can be a problem anywhere at any time because of the many possible sources both inside and outside a building. 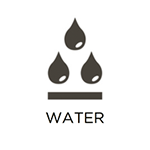 Excess water can enter a home or building from the outside due to heavy rain and flooding, and it can enter from the inside due to plumbing and appliance leaks, burst pipes, and overflows. It is important to cleanup water damage quickly because the water will get absorbed deeper into the affected materials and increase the risk of serious damage and mold. RestorationMaster provides water damage restoration services in Independence, OH to help homes and businesses dealing with flooding or excess moisture. We use advanced extraction and drying equipment to ensure that the affected areas are dry, and we will also restore the damage. 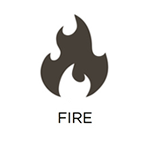 When a fire starts, it sets off a terrifying chain of events. It is crucial to get everyone out of the home or building when a fire starts and call the fire department to put it out. Once the fire is out, you must turn your attention to the restoration because the corrosive byproducts of a fire such as smoke and soot will continue to spread throughout the property, leading to additional damage. RestorationMaster is ready to respond to homes and businesses in Independence, OH that have experienced a fire with our fire damage restoration services. Our technicians can provide repair and reconstruction services to fix the damage and we also use advanced cleaning products to reverse the effects of smoke and soot. It is sometimes difficult to predict just how severe a storm can be until it arrives in your area. Ohio residents know that they can experience severe weather at just about any time including thunderstorms, wind, hail, and more serious storms such as blizzards and tornadoes. All of these weather conditions have the potential to cause serious damage to your property. RestorationMaster provides storm damage restoration services in Independence, OH to repair homes and businesses that have been damaged by severe weather. 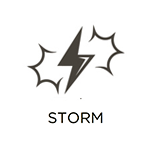 You must inspect your property after a storm and call us immediately if you notice any damage. 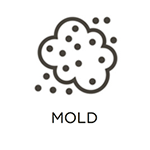 Finding mold on your property is always a possibility because it thrives in moist environments and uses common building materials as its food source. Once mold takes hold, it is at risk to cause serious damage to the affected surfaces and materials and it can spread its spores and start growing in new areas. In addition to the damage, mold can result in a number of health issues that will only get worse as the exposure continues. At RestorationMaster, we can remove mold from homes and businesses in Independence, OH with our mold removal services. Our technicians use advanced equipment to remove mold as well as heavily damaged materials and we will restore the affected areas. The possibility of a serious accident or violent crime ocurring on your property may be far from your mind, but that doesn’t mean it can’t happen. Violent crimes and accidents happen every day in the U.S. and the scenes they create are difficult and dangerous to encounter. It is common for biohazard materials like blood and bodily fluids to be present which is why you are advised to stay clear of the scene and call the proper authorities. Law enforcement officials and EMTs are not trained or equipped to cleanup the scene, so you must call a licensed restoration professional as well after they have arrived. RestorationMaster provides trauma and crime scene cleaning services to help clean up and restore trauma scenes in Independence, OH. Our technicians work quickly and discreetly to finish the job and will show compassion and respect to those grieving a loss. Different types of biohazard materials may be encountered more often than you think, and you must know what to do if you do come across these dangerous materials. 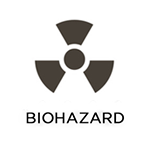 Biohazard materials include materials like sewage, mold, chemicals, and bodily fluids such as blood that contain disease or infection causing pathogens. You should never try cleaning up biohazard materials yourself and instead call a licensed professional that can do it safely. RestorationMaster provides biohazard cleaning services in Independence, OH to clean up dangerous materials and restore the affected area. Our technicians are properly trained and equipped, and they follow the proper protocols to clean up all types of biohazard materials. Businesses are not immune to disasters as floods, fires, mold, and storms can cause devastating damage that is very costly to a business. Your company will have to pay for the restoration of the damage and possibly take a loss if there is damaged inventory and supplies, or if your business has to shut down while the repairs are being completed. Our technicians at RestorationMaster understand the urgency of getting your business restored. We provide fast and effective commercial disaster restoration services to help all types of businesses in Independence, OH recover after a disaster. We will quickly form a restoration plan and complete the repairs to minimize the interruption to your business.